Chinese Drywall, what is it? 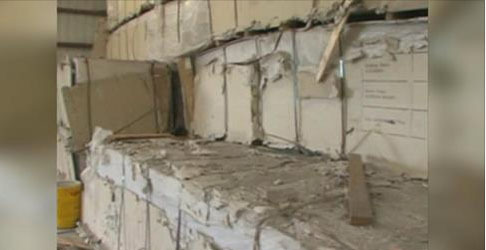 Chinese Drywall, what is it?, If you are a Florida homeowner, asking this question may have already been answered. However, if it has not, how do you actually know if you have Chinese Drywall? Chinese drywall is a defective sheetrock manufactured throughout China and has affected thousands of homeowners in Florida, Virginia, Louisiana, Mississippi and Alabama. During the housing boom and the hurricanes throughout the south and southwest in 2004 and 2006, many home builders and drywall distributors had to turn to China for wallboard to keep up with the supply and demand. Unfortunately much of this sheetrock, in the thousands of pounds, was imported with sulfur compounds, when released in humidity relax toxins that corrode copper and have been known to cause several health effects. – If you have bought a brand new home between the years 2004 and 2009, you may have Chinese drywall in your home. Some dates go back to as early as 2001. – If you have replaced your air conditioners evaporator coil several times within the last several years, chances are likely that you have the defective sheetrock in your home. Check your AC coils inside your home for black soot. This is the corrosion caused by Chinese drywall. – Check your mirrors and fixtures for blackening marks and spots. You may also notice blackening to your door hinges as well. – Check your copper wiring behind your appliances, especially the refrigerator. Also check the copper wiring underneath your sink. – Pull back the copper wiring from your outlets to see if the copper wiring is corroded. The above list is the most common signs of having Chinese drywall in your home. The most common sign is the multiple replacements of your air conditioners evaporator coil. If you have noticed any of the signs listed above related to possible Chinese drywall in your home, or any of the health symptoms above, contact your home builder or distributor immediately. You may also want to contact an attorney to know what rights you have. If you have any questions regarding Chinese drywall or re mediating your home, feel free to contact us anytime. As a leading Florida Chinese drywall remediation contractor, we know the effects that this toxic product has caused and are happy to assist you in any way that we can.